There are 2 holidays to Japan for 2 adults, 0 child and 0 infant. Based in big city centres, Olympic ski villages and the foothills of snow-topped volcanic mountains, Japan’s ski hotels come in all shapes, sizes and star ratings. Find everything from fully-equipped all-inclusives to frill-free hotels – some typically Japanese, others more Western but all brilliant bases for skiing Japan. 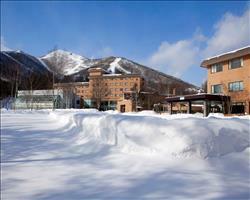 There’s more than world-renowned powder snow to provide a first-class holiday in Japan. The top hotels here have on-site spas and traditional onsen for après-ski pampering, dedicated to easing any aches of the day and restoring blissful calm. Swimming pools are a super addition whether you’re travelling with children or not, and some hotels have gyms with fitness classes for any additional work-outs. All-inclusive properties give you the luxury of unlimited food and drink, slaking all hunger and thirst throughout your stay. 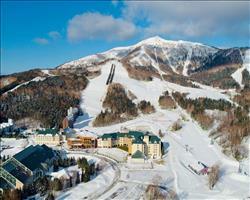 The location of Japan’s ski resorts puts you in reach of some incredible food and drink during your stay. Hokkaido Island, where you’ll find the Club Med hotels (and many more) is nicknamed the ‘breadbasket of Japan’ for its fertile land and fishing industry – producing some of the freshest, tastiest ski food you’ll eat. With most ski resorts separate from the towns, a lot of the dining takes place within the hotels. All-inclusive is a popular board basis, covering every meal, drink and snack you could want throughout your stay. Buffet-style dining tends to include a mix of cuisines, for example evening meals might include traditional Japanese sushi and ramen besides international favourites like pizza, pasta and burgers.